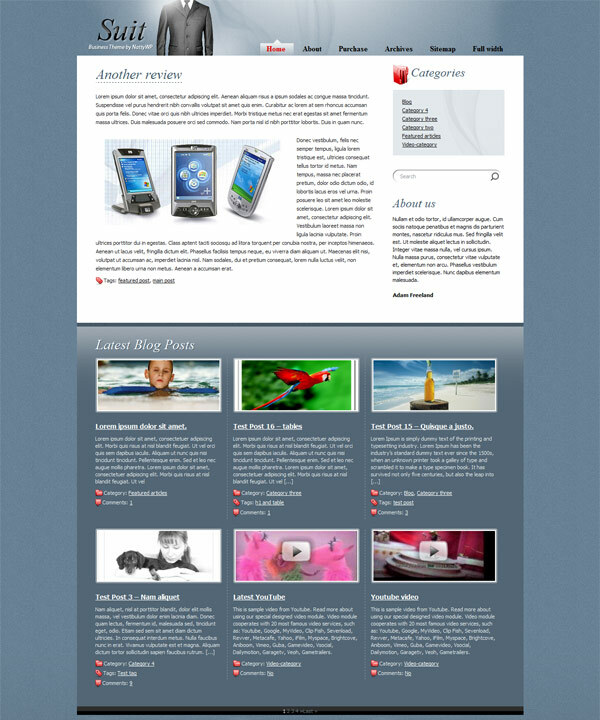 The Suit wordpress theme is a somewhat of an unique CMS template for wordpress, it is supplied with 9 additional widgets and a color managing module. You can change font size, any color or background image in order to customize it easily to fit your specific needs. You can easily control the visibility of Latest Posts module, select between showing full posts or excerpts, add video to your post from more than twenty video services such as Youtube, Vimeo, etc., split a single post up into different web pages and so on. The Suit theme is SEO optimized, offers easy ads management and site statistics.